Brian Toomey is worried about uninsured patients that come to his community health centers in North Carolina. The majority of the federal funds that help keep the center on track will disappear at the end of the month baring congressional action. But between the fallout from Hurricane Harvey, the need to increase the debt ceiling and pressing calls to draft a new law to protect undocumented children, Toomey who is CEO of Piedmont Health Services, is worried that cries for help from health centers will fall through the cracks. Piedmont Health Services,the Carrboro, N.C.-provider, which is made up of 10 community health centers, receives $7.5 million annually in federal funding, which is largely used to care for the uninsured and low income individuals with high deductible plans. If lawmakers fail to reauthorize the funding, the organization faces a $5 million cut. "We would have to start looking at greatly reducing number of patients we see and possibly cut staff," Toomey said. "It would be devastating not only for us, but for emergency departments that would see an influx in patients with no coverage." 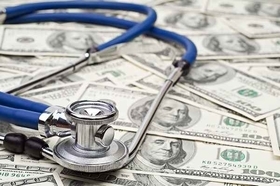 Under the Affordable Care Act and later the Medicare Access and CHIP Reauthorization Act, more than 1,200 facilities nationwide receive $3.6 billion in annual funding, which is roughly 70% of the federal funding available to them. The funding is slated to end by Sept. 30. Health Centers now serve 27 million people, or 1 in 12 Americans. Should the cut take place, the HHS has estimated that as many as 2,800 health center locations could shutter their doors, imperiling access to care for more than 9 million patients. Policy insiders are confident that Congress will intervene before its too late. "The chances of Congress appropriating money for at least some period of time are pretty high," said Emily Evans, a health policy analyst at Hedgeye Risk Management. "The funding of community health centers has bipartisan support." The fact this funding was continued in MACRA, which was passed by a Republican-controlled Congress, indicates lawmakers across the aisle are on board with the money continuing to be paid out, added Christopher Pope, senior fellow at the conservative Manhattan Institute. Both Evans and Pope felt the most viable legislation vehicle continuing the funds reauthorization of the Children's Health Insurance Program (CHIP), which sees funding expire on Sept. 30. Time is of the essence according to Dan Hawkins, senior vice president for public policy and research at the National Association of Community Health Centers. He too is confident Congress will take action, based on correspondence with the lawmakers, but his members need certainty as soon as possible. They have pending lease agreements, and employee contracts that are coming up for renewal that they may not feel comfortable signing until they know for sure the funds are continuing, Hawkins said.